Well, the Dog Days of Summer Read-a-Thon officially starts on Saturday but I've decided to get a head start today since I just finished a somewhat bleak book ... and, to be honest, I've also been champing at the bit to start some of these comfort reads that I chose. I've been thinking about them for days! This will also mean that I get 72 hours of fun reads. How can I resist (and how can I stop on Sunday)? 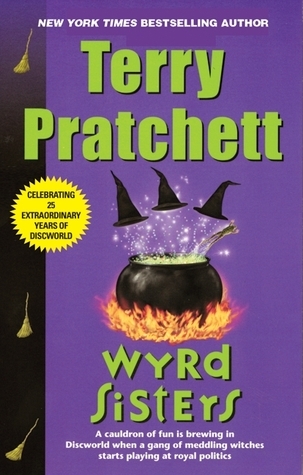 I've decided to start with Terry Pratchett's Wyrd Sisters, second in the Discworld Witches series. It's short and guaranteed to be funny and exciting. 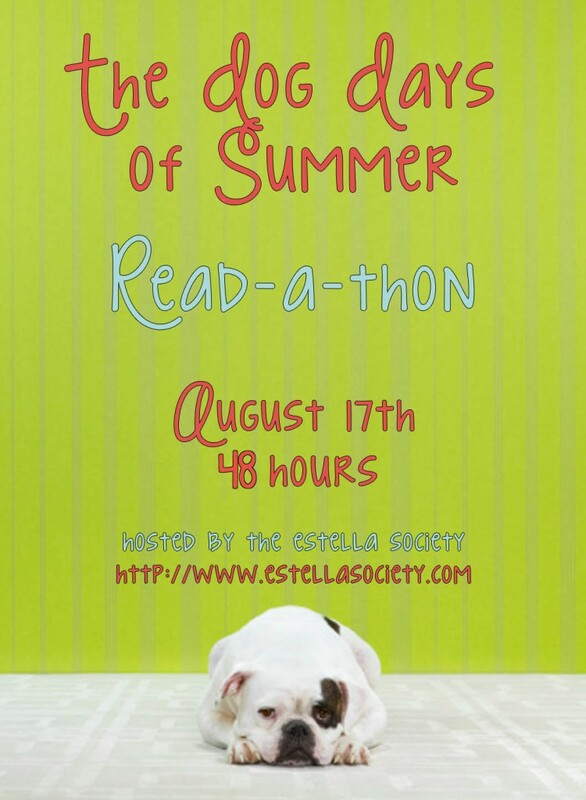 The hashtag on Twitter for the read-a-thon is #ddsummer and I'll mostly be updating there with a summary post at the end. I hope lots of you also get to participate, even if it's just picking up one fun or nostalgic book this weekend! I started early, too - just couldn't wait! It's because this was an awesome idea! Yay! I'm glad you started early. I may even start tonight. 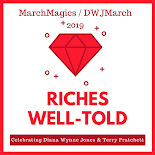 Pratchett is a perfect read and I really enjoyed Wyrd Sisters. I need to finish that strain of his series (only way I can think to describe it!). I thought it was great too! I may even move on to another Witches book soon. 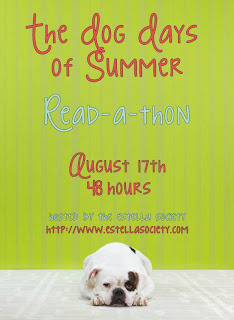 I am really excited for the readathon this weekend, and then I'm following it up with Bout of Books next week. I just piled up my books for pictures of what I will be choosing from. I think I will be posting updates from Instagram, and Twitter (though any pics will automatically go to Tumblr as well). Who knows, maybe I will even start tonight as well! LOL!! I know that feeling!! Good luck! !